Unlock Your Fat Burning Potential With Not One Or Two But Three Fat Loss Programs You Can Use To Get Awesome Results!! Unlike other fad style nutrition programs the Warrior 30 Day Rapid Fat Loss program works. If you don’t believe me, check out the pictures below of people who have actually used this system. Now, the difference between the warrior 30 program and other nutrition programs is they use a one size fits all approach. Since I have use movement progressions in all of my training, I decided to create a 30 day program that contains not 1 or 2 but 3 different progressive nutrition programs, all which work to reduce your bodyfat, increase your performance and get you closer to your goal in 2013. This program includes the Warrior 30 Day Rapid Fat Loss 3 Phase Nutrition Manual complete with recipes, the 30 day step by step guide to permanent transformation where I teach you over 30 days how to change your nutrition permanently and finally the Phase 1, 2 and 3 Program Videos, each detailing the 3 phases of the Warrior 30 Day Program. This is not some lame calorie counting program but rather a proven done for you system that I have used with my personal clients to lose up to 18lbs in only 30 days and right now you can be one of the first 20 people to get your hands on the complete system all while saving an additional $202.70 in the process! 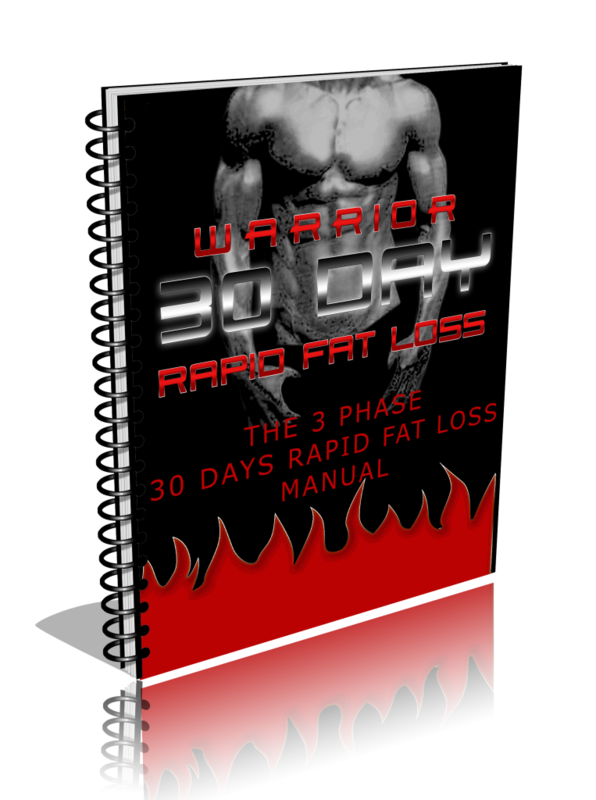 – Dozens of Warrior Fat Loss recipes that you can use for breakfast, lunch and dinner. – Comprehensive detox diet protocols that can help you lose up to 9lbs in only 10 days (my current record)! – 30 Days of motivational reads that will help you to stay on track, define your goals and teach you how to stick to the program after the 30 days is up. – The key steps you must take to get awesome results in any nutrition program. Hint: they have nothing to do with nutrition. PLUS, You’ll Get As A Free Bonus The Phase 1, 2 and 3 Videos Detailing EXACTLY What You Need To Do To Get The Best Results Over The Next 30 Days!! – The fundamental nutrition principals you need to master to get the best results. Hint: it has nothing to do with calories. – The #1 component in your foods that may be stalling your fat loss and damaging your health! – My personal super smoothie recipe that you can use post workout to get even better fat loss results! THAT’S OVER $239.75 IN VALUE!!! 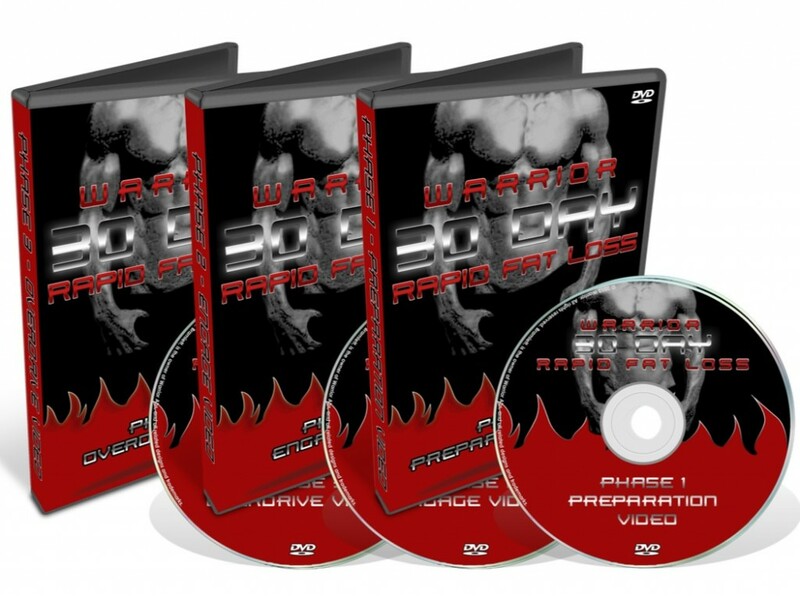 As you can see, the total value of the Warrior 30 Day Rapid Fat Loss Program is a whopping $239.75. But once again, because I know the difference this program can make on your life I want to offer you the entire Warrior Abs Program not for $2239.75, but at 92% off the retail price.